It’s official: Manchester City have now been linked with half of AS Monaco’s outfield team, following a report today from leading French source, L’Equipe, that they have eyes on one of the principality side’s attacking midfielders. 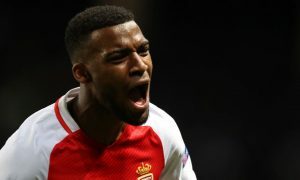 Thomas Lemar is one of the many young stars shining brightly in a Monaco side that is taking Ligue 1 by storm. They have taken four points from PSG – yes, the PSG that dismantled Barcelona last night – and are three points clear at the top. They also face Manchester City in the Champions League soon, and are going to provide a much bigger challenge than many thought when the draw was made. 21-year-old Lemar, capped once by the French national team, has 9 goals and 6 assists in Ligue 1 and the Champions League this season, and L’Equipe, a good source for French transfer news, reports today that Pep Guardiola is a big fan of the player with City emerging as serious contenders to sign him. If City do make a move for Lemar, they could face competition from Premier League rivals Chelsea, Bundesliga champions Bayern Munich, and La Liga side Atlético Madrid. Lemar, who set Monaco back just €4 million when signed from Caen in 2015, would now cost around €35 million (£29.75 million) if he were to leave the Stade Louis II. 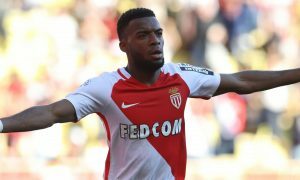 Lemar follows Fabinho, Tiémoué Bakayoko and Djibril Sidibé in being linked with a move to the Etihad this week. Add in Kylian Mbappé, who it was widely reported City had a £35 million bid rejected for last summer, and that is five of Monaco’s ten outfield regulars. It remains to be seen who, if any, of Monaco’s gifted young team Pep Guardiola actually wants to recruit. The two games coming up against Monaco will give Pep a closer look at the names he apparently wants to sign. For City’s sake, let’s hope they all have bad days at the office.